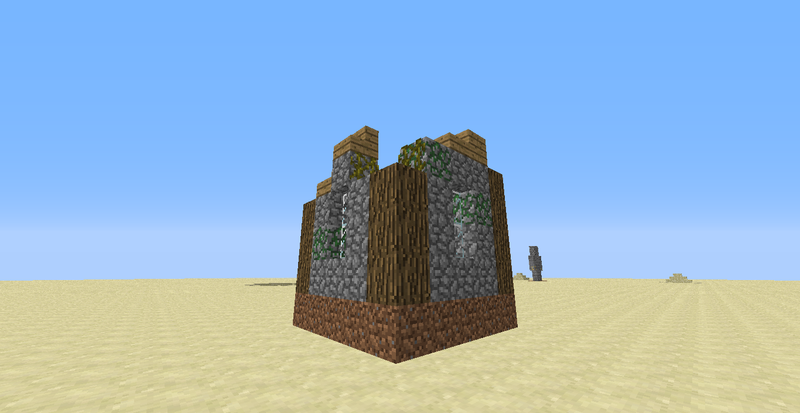 Hey Guys.. so have you ever wanted more Randomly generated structures? No- Not like strongholds, or end city dungeons.. no.. 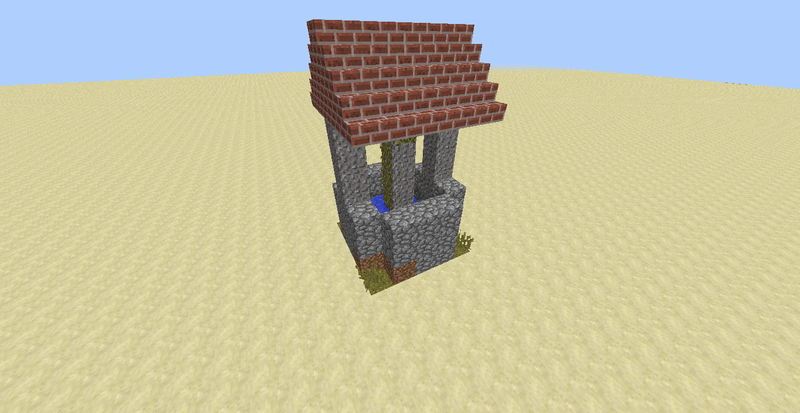 I mean the small little ambient structures like desert wells, and dungeons! 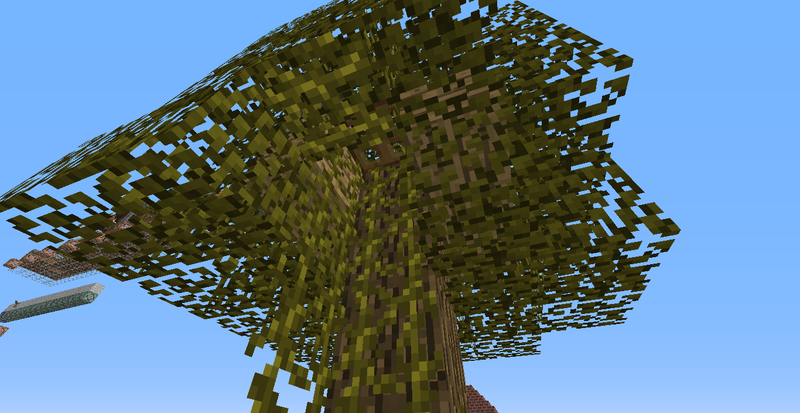 I think they add a whole new feel to the way Minecraft is.. I just find huge expanses of grass and stone so boring.. the game needs some more variety!! These small structures would not be incredibly important to your game-play, but they would add to the already dire urge to explore the minecraft world! Some could have hidden treasures, or maybe little traps that will catch the player off guard, or possibly they could add no benefit to the game but to add ambiance! Overall, the structures would need to balance each other out. I think that these little changes would be great for players who just want to explore and be rewarded for doing so! If these pictures don't change your mind.. then maybe this will: I also turned these into a One Command Creation that will randomly summon them around the world as if they were actual naturally Spawning structures!!! 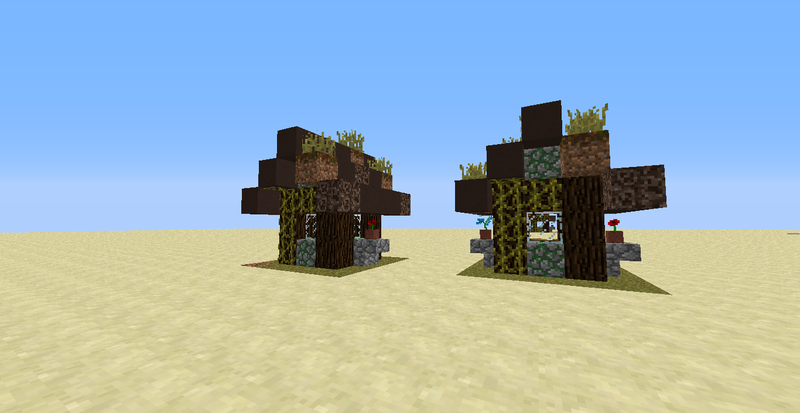 New Naturally Spawning Structures In Only One Command! This structure took some time to figure out.. but i managed to squeeze in some pretty simple, yet dangerous engineering! When an unsuspecting Player breaks the gold ore, water will flow into the open space and destroy the flower. 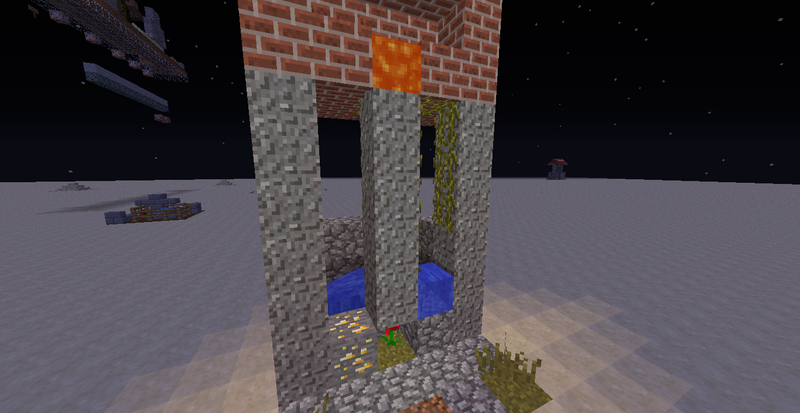 This in-turn will cause the gravel to drop one block both destroying the vines, but also releasing the lava from above! This will most surely catch an unsuspecting player off guard! 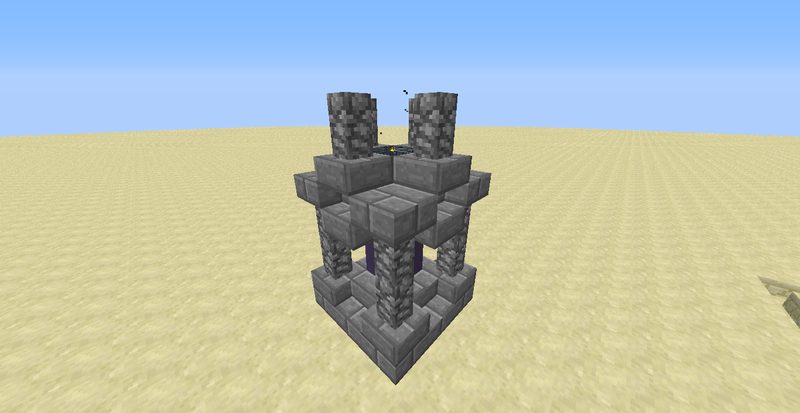 If you want to check out this structure, put the following command into a command block to summon it in! How So? You think that they should be more natural and less man-made? or just the way that they spawn in general? because even naturally generated structures now are a bit wanky... lol look at some villages in mountans! Anyhow- Thank you for your feedback! Yea that was my goal with the structures i designed... they are small ambient changes that might make the player want to explore a bit more! Think of the treehouse spawning in a forest, the Statueway up high on a mountan, or the well mysteriously poised in a field, or even some ruins scattered around a village! i think that would be pretty sweet! Hmm.. So i like the idea of those little structures you can meet when exploring your world. But imo some stuff needs to be reworked. 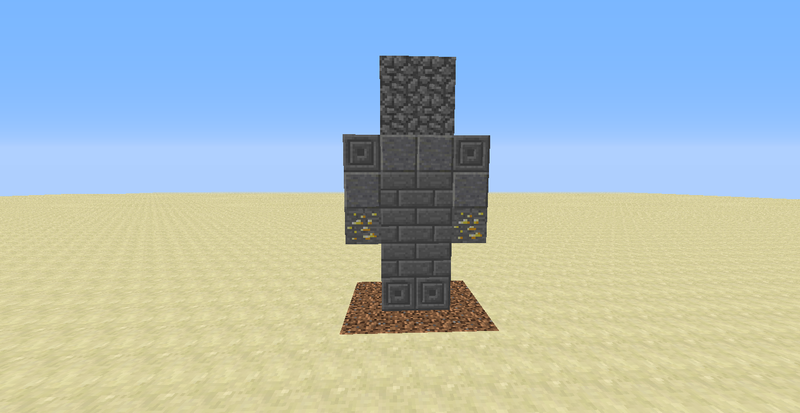 The well for example feels a bit off and statue is maybe a bit too simple with that grey color scheme. The soul sand on the roof of shack also looks kinda not in the place for me. Also a graveyard could've been a bit bigger so graves would not go off the fences and also it could contain either a chest or a dynamite trap in the main grave. Sometimes it would be neat for some gravediggers to find a gold bar or two and some bones or maybe even a skeleton skull in a rare ocassions. The treehouse idea is great, but what do you think of a junge variant one? Could've also contain a loner villager in it that could sell some potion stuff, for example. The ideas is great but it feels kinda raw atm. So for now it's a partly support. Ya this would be nice, after all it's the little things that make Minecraft good, and I'd be happy finding one of these buildings anytime. 7/10. Yea im actually working on the OCC that adds some of these structures to the game.. if you would be interested in that..
Full support! I love generated structures and converting them (or destroying them altogether) and new ones would be amazing in my opinion. Sweet! I actually Made these into a OCC so that you can experience gameplay with some new structures in the game! check it out in my signature! Before I even talk about the suggestion, let me just say how INCREDIBLE this thread was put together. You have example images, and even the command to summon them in! I can not tell you how long I've waited to see someone actually provide people with a way to test their suggestion out. Not to mention your extremely thoughtful and involved responses. Good on you. As for the idea, I love that too! I've always wanted more natural structures, especially ones that do nothing but build the mood/atmosphere. You've basically covered everything. I see nothing wrong with this suggestion. And welcome to the forums, to you. You don't think it would add a bit of fun to exploring your world? It's like saying that the new Igloos (Ones without basements) are useless, which they are, but they are definitely not pointless! They add a bit of variety and fun to the game differing from the vast expanses of grass trees and snow! Anyways, even though you don't really support my idea, Thank You for your Feedback! Thank You so much! Your comment just made my day!! Also, with the Commands; they are so that people can see the engineering that can fit into the little structures.. for example the tree house spawns in with a crafting table/ furnace/ chest (With random Items thanks to Loot Tables) and a torch! 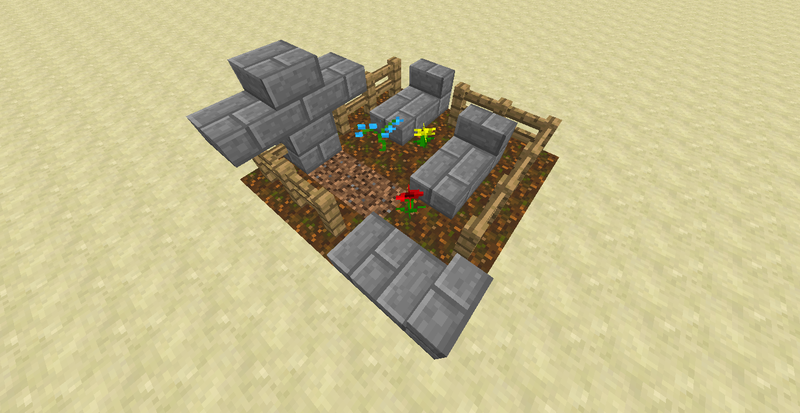 And the Graveyard has a spawner hidden under a grave... as well as a chest with some bones under another!